Pokemon Black Version and Pokemon White Version feature new Pokemon that players can catch, train and battle as they progress through the game, and some Pokemon can only be caught in one version of the game. For example, the Legendary Pokemon Reshiram can only be caught in Pokemon Black Version, while the Legendary Pokemon Zekrom can only be caught in Pokemon White Version. 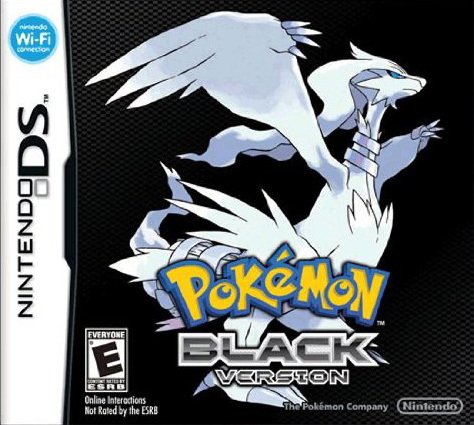 Additionally, the two games feature different areas for the first time in the series, with the game world of Pokemon Black Version featuring a unique metropolitan area called Black City, and a lush, green area named White Forest only found in Pokemon White Version. Pokemon Black Version and Pokemon White Version also mark the first time in a Pokemon video game that the seasons will change in the game world. 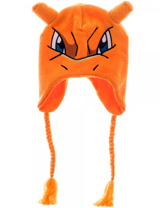 Certain Pokemon appear more frequently during different seasons, and players can only access some areas during a specific season. 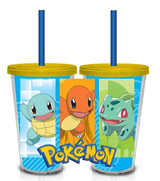 Pokemon Black Version and Pokemon White Version let players start with one of three new Starter Pokemon - the Grass-type Snivy, the Fire-type Tepig or the Water-type Oshawott. Until the main story of the game is complete, every Pokemon that players encounter will have never been seen before in previous Pokemon games. The games also feature original boy and girl trainers who set out on an adventure in the new Unova region. Note: Brand New & Factory Sealed Pokemon Black is available in World Version (Released in UAE, Saudi Arabia, Singapore & Malaysia). This English version of Pokemon Black is 100% compatible with all Nintendo DS systems. An all-new world filled with all new Pokemon to catch, train and battle with. Collect all the Pokemon available in the Pokemon Black Version, then wirelessly trade with Pokemon White Version owners to complete the combined games' Pokedexes. Experience both Legendary Pokemon: Reshiram and Zekrom - with Reshiram available for capture in Pokemon Black Version. Exciting new battle modes including: Triple Battles and Rotation Battles. Players choose from one of three initially available Pokemon to start the game, with that Pokemon from then on available to the player all the time. Play as either a girl or boy Pokemon Trainer. Stay tuned for more exciting plot twists, gameplay features and game modes to be released as game launch approaches.